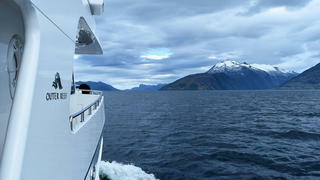 Argo, a 27 metre Outer Reef cockpit motor yacht, successfully cruised around Cape Horn last month. Located on an island off the tip of South America, the waters are notoriously difficult to navigate as this is the point where the Atlantic and Pacific Oceans collide. Paul Hawran, a retired bio-tech CEO from New York and owner of Argo, embarked on an extensive expedition cruising the length of South America, culminating in rounding the Cape. 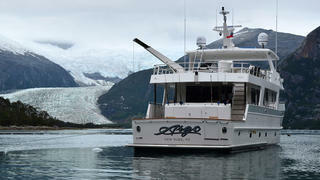 Hawran was joined by Outer Reef President and CEO, Jeff Druek, for the momentous journey. 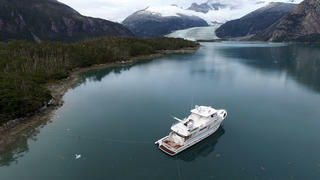 Argo has proven her mettle before, starting with a shakedown cruise to Alaska, before embarking on a southward journey to San Diego, Puerto Vallarta in Mexico, Los Suenos in Costa Rica, Puerto Iquique in Chile, throughout the Patagonian fjords and Puerto Williams, after which they headed around Cape Horn, one of the most adventurous destinations to visit by yacht. 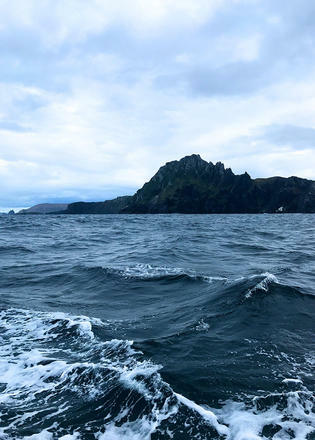 Argo’s voyage through sometimes unforgiving seas to reach Cape Horn – and the successful rounding of the Cape itself – proves what Outer Reef yachts are capable of. “For me as the founder of Outer Reef Yachts, ‘Rounding of the Horn’ was a culmination of what I attempted to achieve many years ago as I built this company,” Druek said. Hawan’s journey continues up the west coast of South America, where he will be stopping to visit Robinson Curusoe Island off Chile and Machu Picchu in Peru. 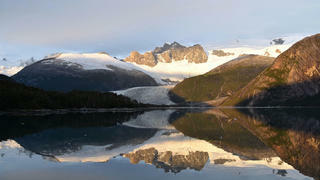 In October, Argo will be travelling through the Panama Canal to the Caribbean. Delivered in 2015, she can sleep up to six guests in three cabins and has a range of up to 3,500 miles at her cruising displacement speed of 10 knots.